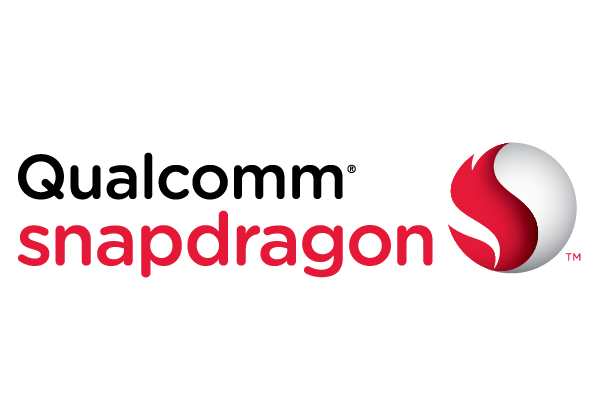 Qualcomm is currently enjoying a connectivity advantage, widening the gap between the company and its competitors by offering a new level of performance in the flagship Snapdragon 820's X12 modem (see Blog: X12 LTE Modem Underlines Qualcomm's Connectivity Leadership). Connectivity is converging but becoming more complex, and Qualcomm stands to benefit from this in the longer term given its assets across a broad spectrum of connectivity options. Qualcomm faces a number of challenges, but its strengths in connectivity have allowed it to establish a clear advantage here. The company's announcement of its Snapdragon X16 LTE modem has reinforced this, acting as a timely reminder to an industry fixated on 5G that LTE Advanced Pro still gives 4G plenty of scope. The Snapdragon X16 LTE modem represents a number of firsts, including its standing as the first modem to support Category 16 downlink. Qualcomm also claims it's the first modem to offer gigabit-class LTE with downlink speeds of up to 1 Gbps. This is an increase from the 600 Mbps supported by its predecessor (the X12), some 10 times greater than the first LTE devices of five years ago and 500 times greater than the first-generation 3G devices launched a decade ago. Carriers will need to upgrade their networks in order to deliver these speeds, but the roll-out of LTE Advanced is already well underway, with over 115 network deployments to date according to the Global Mobile Suppliers Association. CCS Insight believes that the need to maximize capital investment in LTE and provide a smooth path to 5G will see accelerated commitment to LTE Advanced in the next few years. However, these are theoretical speeds even after network upgrades. An operator couldn't deliver gigabit-class service solely using a single 20 MHz block of LTE spectrum, for example, and this is where Qualcomm's dedication to carrier aggregation and its vision for unlicensed spectrum becomes clear. The X16 is the first modem to support Licensed Assisted Access (LAA) — the 3GPP standard for LTE in unlicensed spectrum, approved for use globally including in Europe and Japan, where the "listen-before-talk" anti-interference requirement is mandated. Qualcomm states that gigabit speeds can be achieved with as little as 60 MHz of spectrum using three 20-MHz carriers, with the chip able to support aggregation of up to four carriers to deliver total bandwidth of 80 MHz). This can also be achieved using just 40 MHz or less of licensed spectrum through the aggregation of licensed and unlicensed blocks. Qualcomm has been developing these capabilities in recent years, and is now integrating these into the X16. Four-times carrier aggregation and unlicensed access, coupled with 4 x 4 multiple-input and multiple-output (MIMO) and 256-QAM modulation technology, add up to a substantial step forward. It's a clear illustration of the importance of carrier aggregation and the efficient but cooperative use of unlicensed spectrum, though Qualcomm will continue to face small pockets of resistance from critics stating that LTE over unlicensed spectrum isn't a friendly neighbor to Wi-Fi. However, with LAA soon to be finalized within 3GPP release 13 and as operators seek to maximize LTE investments and increase capacity, the greater momentum is in favour of LTE over unlicensed spectrum. Qualcomm's X16 modem only stands to add to this. The X16 also marks Qualcomm's move to a new modem architecture, enabling it to boost its efficiencies in research and development and time to market by using a consistent design that can scale from high-performance to low-power segments. This will substantially shrink the development cycle and, crucially, allow Qualcomm to better address broadening segment requirements with the advent of the Internet of things. Strength in connectivity alone doesn't guarantee success, and Mobile World Congress 2016 may present some competitive surprises. Integration remains imperative, and it will be crucial that Qualcomm can swiftly incorporate X16 into a Snapdragon system-on-chip. But there's no escaping the fact that multimode, multiband development is getting harder and the number of contenders smaller.